Gas-Electric Mergers: Money Well Spent? The top traders, investors and managers tell why energy convergence is still a pipe dream. Energy investors seemed less willing in 1999 to greet electric/gas combination mergers with the kind of blind enthusiasm they tended to show in prior years. Instead, they now demand proof that energy convergence really does create tangible value beyond the mere sum of the parts. At least that's the impression gained from talking with John W.
When the Merger Doesn't Work: Saved by a Spin-Off? Some partners turn to the quick sale to raise capital and dress up performance. * To boost valuation of a diversified company. In fact, many newly merged energy companies will fit into this last category. No longer just power companies, they now own merchant generation, transmission, pipelines and telecommunications assets. An interview with David A. Boger, Stephen D. Moritz and Joseph G. Baran of Strategic Energy Ltd. The expiration and renegotiation of firm transportation contracts on the pipelines in North America is becoming increasingly complex. For example, TransCanada Pipeline ("TransCanada") in the past consistently renewed its expiring contracts for five- to 10-year periods at maximum rates. It also regularly expanded its capacity, requiring 10-year commitments two years in advance of availability. Do not mistake the FERC's professed neutrality on what works best for regional transmission organizations. In its final rule on regional transmission organizations, known as Order 2000,[Fn.1] the Federal Energy Regulatory Commission said it would not dictate to the electric utility industry whether and how to form RTOs. Don't be misled. The FERC claims to be agnostic,[Fn.2] but it still has a vision. And that vision leads inexorably to one conclusion. The preferred form for an RTO is the independent system operator, or ISO. Read the RTO Rule. You'll see that it paves the way for transcos. On Dec. 20, the Federal Energy Regulatory Commission hit the streets (both Wall and Main) with Order 2000, its rule on regional transmission organizations (RTOs). Ever since, utilities, investors and their advisers have been poring through the 727 pages of the document. They want to know, "What does the FERC really want?" The question is not simply academic. On March 1 in Cincinnati, the FERC will open the first of five collaborative workshops to explore the RTO Rule and help the industry respond. The Midwest ISO struck a deal with utilities from low-cost states, but it may backfire. Why should low-cost states get excited about handing over a chunk of their utility assets to an independent system operator (ISO) or other qualifying regional transmission organization (RTO)? They might buy in if the ISO offers enough of an incentive. The National Association of Regulatory Utility Commissioners appointed James Bradford Ramsay its general counsel. Ramsay's career at NARUC began in 1990. He previously served as a rates attorney with the Federal Energy Regulatory Commission. Chris Duhon, the former president of Houston-based Additech Inc., was named vice president and general manager of GRI's pipeline business unit. Michael R. Peevey, founder and chairman of NewEnergy Inc., resigned in January. His company previously was called New Energy Ventures. 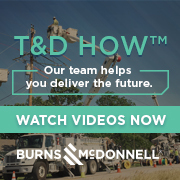 Commonwealth Edison Co. appointed Nicholas J. They see leasing and dark fiber as "no-risk" ventures, with more upside potential. Few seem ready to predict when demand might wane for rights-of-way for long-haul telecommunications. The consensus suggests a long-lived market - with interstate natural gas pipelines primed to take advantage. The question seems not so much whether to dive in, but how deeply to get involved. Should pipelines stick to leasing rights-of-way to carriers? Or should they lay fiber and perhaps offer their own long-haul services? While Texas ponders how best to help rural co-ops move to electric competition, some interests question whether bailouts are needed at all. "The co-ops are like a school of little fish, all right? And there's a school of big fish out there who are going through and taking munches, okay? And if the little fish aren't protected, the big fish will eat them." "Lots of co-ops that serve very rural remote areas [may] not see a lot of difference¼.